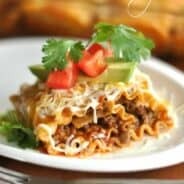 Do you remember last year when I worked with the Ohio Pork Producers to make this delicious Lasagna Soup recipe? Well it was quite a hit, so I’m back teaming up with them to bring you another Pork recipe. 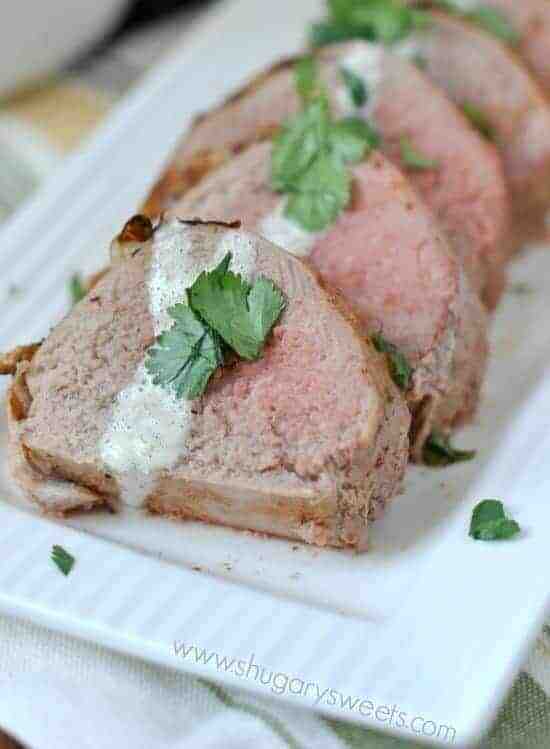 Today’s recipe uses pork tenderloins. 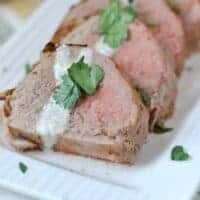 I love using these small tenderloins for an easy dinner recipe. They are perfect for a quick toss on the grill, or roast them in your oven at a high temperature. BUT, there is a key to SUCCESSFULLY cooking a pork tenderloin. Use a meat thermometer. Growing up, I think I was taught there should be NO pink in your pork. Most of the time, pork chops and pork tenderloins were chewy grey cuts of meat. Not my favorite. Using a meat thermometer will help you not overcook those delicious cuts of meat. When the center of your tenderloin hits 145degrees, remove it from the oven and allow it to rest about 5 minutes before slicing. This will keep all the juices inside, and the result will be a tender cut of pork with a “blush of pink” in the center. It’s SAFE to eat. If you’re looking for the perfect PORK chop recipe, I’ve got that too! Thick and juicy, this crispy parmesan oven Baked Pork Chops recipe is delicious. The BEST pork chop recipe you’ll ever need! You also may have noticed in the grocery store that some of the cuts of meat have had a name change. Check out this list of pork cuts and cooking times for help!! For today’s marinade I used a can of chipotle chilies in adobo sauce. I plucked out two chilies for the recipe (and about a teaspoon of sauce). Don’t worry about wasting the remaining chilies in your can….do what I do! Take the leftover chilies and put them in an ice cube tray, individually. Divide the sauce amongst them, then freeze. Once frozen, pop them into a ziploc bag and keep them frozen and handy for when you make this again. You WILL make this again!! I put my pork in the marinade for about four hours, but overnight would work well too!! While they were baking in the oven, I whipped up a quick cilantro lime dressing. This sweet dressing was great at taking away some of the heat from the chilies. Our dinner was ready in 30 minutes! I also served it up with a side of the mango guacamole from earlier this week. My kids were thrilled that they got to eat guacamole as a side dish. Be sure to stop by the Ohio Pork Producers website. They are hosting a “pin it to win it” contest until April 20, 2014. You could win $500 in groceries! That’s a lot of pork! Also, check out this great article about 1 million meals donated. Thanks to many of you last year for clicking on the video in my Lasagna soup recipe…in 5 years the Ohio farmers donated 1 million meals. Not too shabby!! In a food processor, add oil, salt, pepper and chilies in adobo. Process until chilies are finely ground. Slowly stream in the orange juice. Pour ingredients into a large ziploc bag, add pork tenderloins and seal. Shake and refrigerate for 2 hours or overnight. When ready, preheat oven to 450 degree. Bake tenderloins on baking sheet and cook for about 20 minutes, until internal temperature of pork reaches 145 degrees. Oven temps may vary, so using a meat thermometer yields best results! Remove from oven and allow to rest about 5 minutes before slicing. While the pork is cooking, combine all the dressing ingredients in a blender (or food processor). Blend until smooth. To serve, slice pork and drizzle with cilantro lime dressing. ENJOY!! **This is a sponsored post on behalf of the Ohio Pork Producers Council (OPPC) and the Ohio Soybean Council (hey, those pigs eat a lot of soybeans)! I was compensated for my time, however all opinions expressed are 100% my own! Oooh this looks beautiful, and I love that it has a tint of pink. My dad has always loved a medium rare, so I have grown up with the pink, and love it, so tender, and this would be so flavorful. Pinning right now; a perfect post workout source of protein! That is one perfect looking pork tenderloin! The flavors all sound amazing. I love chipotle chilies in adobo sauce too, I have a bunch in the freezer right now and never thought to use it for marinade. Give them a whir in a food processor and they make a FANTASTIC topping for burgers too. Or put them in your scrambled eggs! That cilantro lime sauce sounds perfect! 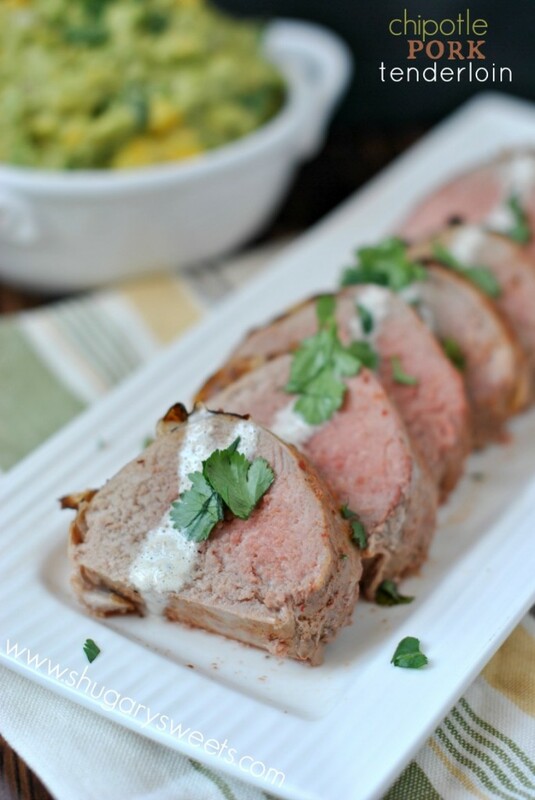 This looks so delicious, pork tenderloin is one of our favorites to grill this time of year! This looks amazing! I need to take my pork tenderloin out of the freezer I’m thinking 🙂 Yum. This is a meal the whole family would enjoy!! I grew up thinking the same thing! We invested in a meat thermometer and it is the best thing! No guessing when the meat is ready! This looks great! Thanks Nancy!! I love using the meat thermometer, no overcooked pork for us! Pork is my favorite meat. Thanks for the links to the charts – I bookmarked them both. Your tenderloin looks wonderful and I have been on such a chipotle kick lately this is calling for my time and attention. Thanks Maralyn! I hope you enjoy the recipe, let me know if you give it a try!! Wow, love it! Can’t wait to give this a try! This looks divine- I love the colours and the flavours all sound amazing together! Thank you Jess. It was quite a delicious meal! I love this flavor combo! I make something along these lines, though somewhat reversing how you have it. I marinade in a cilantro-lime mixture and have a chipotle sauce. Love the idea of doing this in the reverse! YUM! 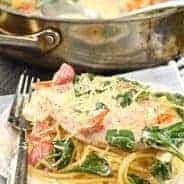 Great recipe, flavor combinations and pictures! Thank you for participating Amy! Thank you Jennifer. It was wonderful working together creating something delicious! If it has chipotle flavor, I’m all over it!! I love this recipe. That guacamole is a must! I love this marinade and this recipe! Your #pinkpork really shines in your gorgeous photos too! Thank you so much for participating in this campaign! Thank you Kristen, it was fun to be a part of again!! Nothing better than #pinkpork! 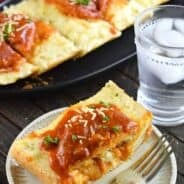 Fabulous flavors in this recipe! I’m pretty sure I would eat every last bite of this meal. Love the cilantro lime sauce! 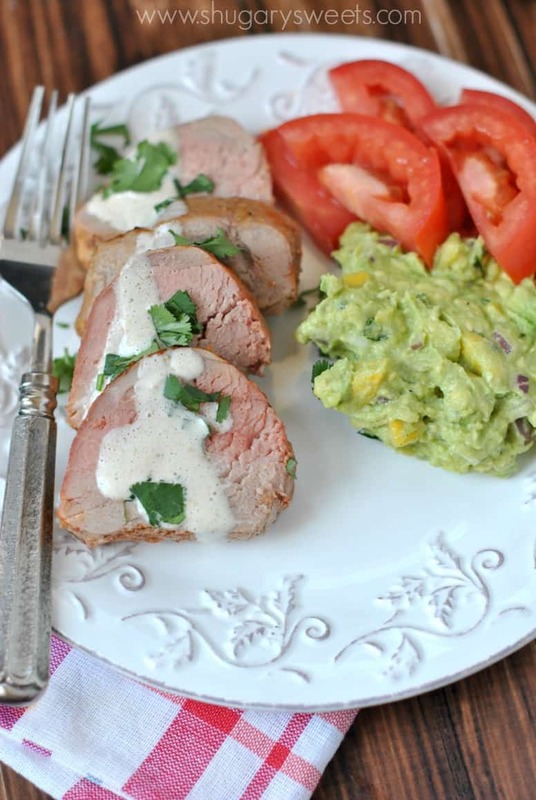 The combination of the Chipotle Pork Tenderloin with the Cilantro Lime Sauce sounds wonderful! Pork tenderloin would be excellent choice for Easter! You and I were thinking along the same lines because I recently posted my recipe for Pork Loin for Easter dinner. Thanks for sharing. I’m going to have to give your recipe a try. I love pork and I’ll bet the chipotle gave it an amazing flavor! Oooh I have a tenderloin in the freezer! Just need to pick up some chipotle chiles! I think this may have to happen!